She was appointed to the the evidence based task force of the ISHRS in 2008. 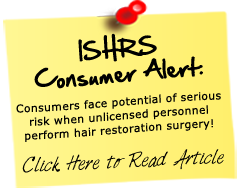 The goal of this committee is to promote evidence based research in hair restoration surgery. See our website https://hairrestore.com/ for Hair Restoration in Tucson or a Hair Restoration Clinic in Scottsdale Arizona for an appointment with Dr. Keene.